Love, Mrs. Mommy: Blogger Opp: $50 Little Adventures Gift Certificate Giveaway! Blogger Opp: $50 Little Adventures Gift Certificate Giveaway! 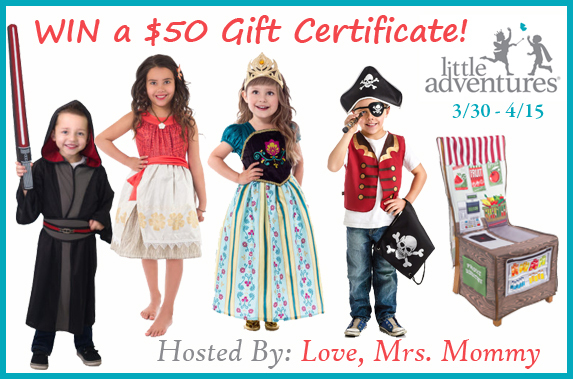 Love, Mrs. Mommy is hosting a $50 Gift Certificate Giveaway to Little Adventures! Winner can choose from anything on their site!